Even in remote places, people need to communicate. I think this was one of the last mobile towers we saw on our way to the Very Large Array (VLA) in New Mexico. The VLA is an immensely sensitive listening device, tuning in to whispers of the big bang and distant galaxies, and helping us understand the universe that we are living in. The dishes are so sensitive that you have to turn off your mobile phone within a half mile radius of them, in case it creates interference. 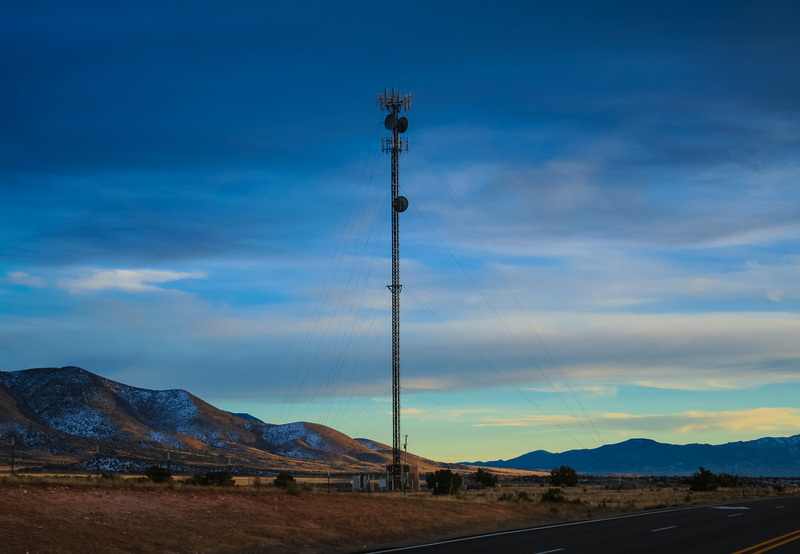 This tower must server the local communities to keep them in touch with the world, but there weren’t many more along that road.